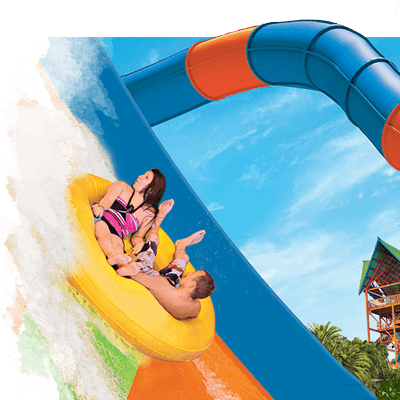 SeaWorld and Aquatica Orlando today kicked off its “Best Year Ever” promoting a bustle of activity taking place at both parks over the next few months and throughout 2019. Today’s grand opening of SeaWorld’s record-breaking thrill ride Infinity Falls served as the start of a year filled with an unprecedented number of new and expanded experiences at the parks. SeaWorld’s record-breaking new thrill ride, Infinity Falls, officially opened today. The ride is just one part of this new realm, which boasts a new shop, fun and educational interactive games and the park’s new restaurant, Waterway Grill. ABBY’S FLOWER TOWER – Pick a flower pot and up, up, up you go! Spin around high above the ground while you get a magical view of Sesame Street at SeaWorld. SLIMEY’S SLIDER – Slide and glide as you rock and whirl through Oscar’s treasured compost collection for a grouchy good time. SUPER GROVER’S BOX CAR DERBY – Get ready… get set… Super Grover’s great box car race is about to begin! This family-friendly coaster is full of fun hills, big turns and mini-dives. It’s the perfect first steel rollercoaster for kids and adults. COOKIE DROP – Cookie Monster dropped his cookies! Laugh your way up and down on this crumbly, crazy, family-friendly vertical drop ride. ELMO’S CHOO CHOO TRAIN – All Aboard! Help Elmo find some of his favourite things in nature during this bell-ringing, horn-honking train ride.